Pristine understands that it is very difficult to be without your vehicle, which is why we offer a like for like wheel exchange programme. 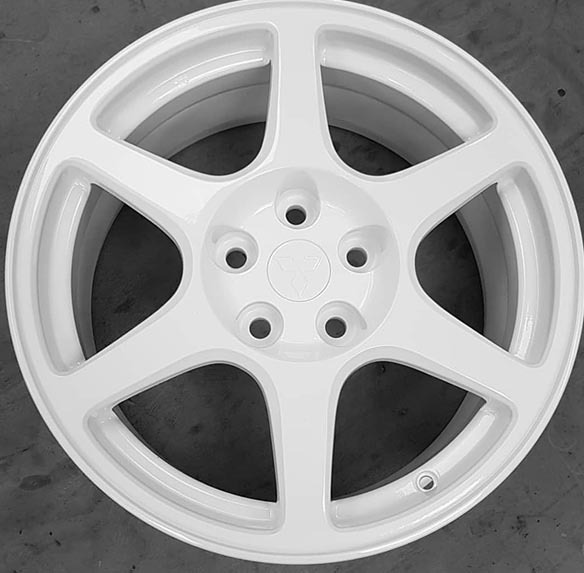 We have a large range of alloy wheels in stock, which we refurbish once an order is placed and whilst you are still mobile. Once completed, you will be contact by ourselves, dealers or agents to organise a convenient time for you to have your refurbished wheels put on your vehicle and your old ones returned to us for future customers. All wheel refurbishment work is undertaken in our fully equipped Milton Keynes workshop. If you live in or around Milton Keynes, it’s simple to sort out a wheel exchange, but what if you are further afield? Fear not, we’ve developed a National scheme to benefit customers from all over the UK. The Wheel Exchange Programme is a partnership between us and a number of National agents. Let us know where you are based and we’ll put you in touch with our nearest partner. Working in collaboration, we’ve been able to enhance our programme and help keep you on the road. Each agent will be able to contact us directly to check stock availability. They’ll ask a few questions to ensure that they provide you with the correct replacements and the paperwork will be completed. You will continue to drive your vehicle until the wheels are sent out refurbished and you are contacted to have the replacements swapped over. This programme will save you the headache of relying on train or bus services and most customers are thankful for that. HOW LONG WILL WHEEL REFURBISHMENT TAKE? 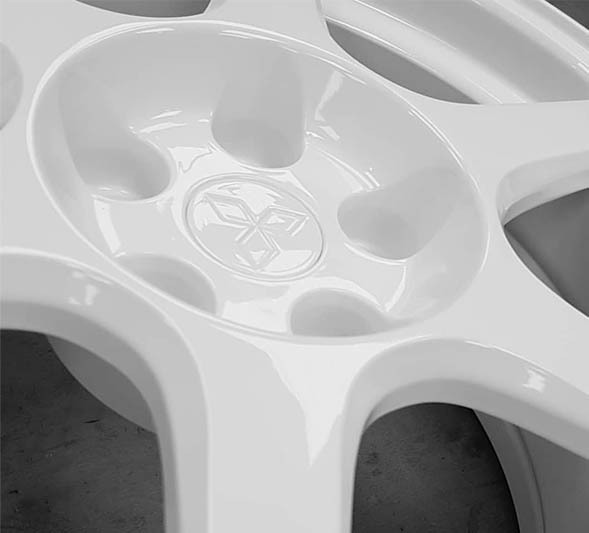 Our professional wheel services are the most rigorous and comprehensive refurbishment process in the UK. It typically takes a few days to complete the work to our high quality standards. When your wheels have been fully restored, they will be sent out to the Dealer/ Agent. They will contact you to arrange the swap over at a convenient time. Once returned, the replacement wheels will be fully inspected to ensure they are safe and useable for the next customer. We hope the Wheel Exchange Programme will simplify the process. Please get in touch to find your local agent or to get answers to your questions. Just received my Lexus IS200 alloys today. Only ordered them yesterday. Excellent Service. Superbly packaged. Now for the wheels. WOW. Fantastic looking wheels with a superb finish. They look better in the flesh than in the photos. Shame I have to fit them t my car. They wouldn't, look out of place on living room wall. Lol. I drive taxis every day and would not hesitate to recommend Pristine Wheels. Thank you. I've received the 4 No. Jaguar wheels. Please pass on my appreciation and thanks to the Team- there bloody marvellous!! Just had 4 air blade wheels returned and painted same colour as my ford kuga, deep inpact blue. Pristine made an excellent job of them, very pleased with the way they look. 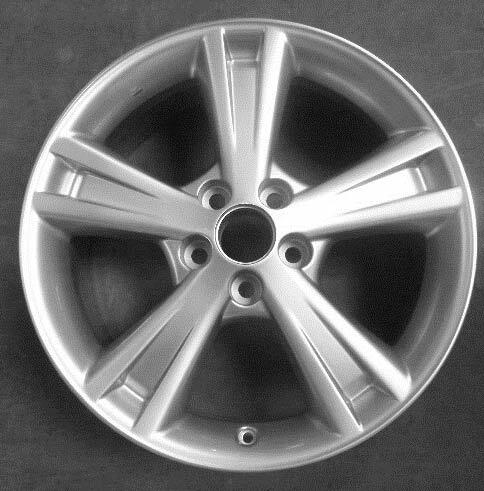 Pristine have just refurbished for my MGR V8, five BBS duel finish (Lacquer over a painted & polished alloy finished) wheels. The standard of workmanship was excellent and the price very reasonable. I wouldn't hesitate to recommend Pristine wheels and I would certainly use their serviced again. I just wanted to write a review and say a massive thank you to Parv and the team at Pristine Wheels. For the last 9 months since I bought my Audi A5 (19" wheels) I've had a steering wheel and seat vibration that kept coming and going, really aggravating! Despite a new set of tyres, standard wheel balancing a couple of times and several trips to numerous mechanics no one could work out what the problem was nor could they fix it. The suggested fixes involved driveshaft replacement, DMF replacement, lower control arm replacement, out of balance propshaft, warped brake discs and replacement of hydraulic engine mounts, as you can imagine many many ££££'s with no guarentee of resolution. I was convinced the tyres must be the issue but was told repeatedly they were ok. One trip to Pristine with their road force balancer and lo and behold a tyre was discovered to be giving a too high road force value, and unfortunately one picked up a puncture. Parv balanced the tyres as best as he could and recommended a new set of tyres. Immediate improvement on the old set and after the new set was fitted total resolution. They may have been an hour from me but well worth the trip. I would absolutly use them again, and reccommend them, the attention to detail when taking the wheels on and off to avoid damage and properly tightening the wheel nuts without ramming them on with impact air wrenches was really nice to see and they even put the locking wheel nut socket in a bright yellow bag so they couldnt lose it. You simply dont get better service in my experience from an automotive establishment! Traditional British Craftsmanship. Attention to detail and pride in what they do. It was a pleasure doing business with Pristine Alloy Wheels, their team delivered beyond my expectations in every respect. Their depth of technical knowledge was self-evident and their customer service superlative. The Pristine team genuinely care about the customer, are easy to work with and bend over backwards to provide what you need. I shipped five Audi alloy wheels from Bulgaria for remanufacturing, three of them where in rough condition and the other two didnt look too flash. They were expertly packed to avoid transport damage and shipped back in as new condition with a seven day turn around. The wheels look fantastic, and all for a modest cost when compared to purchase of new OEM wheels from a dealer. 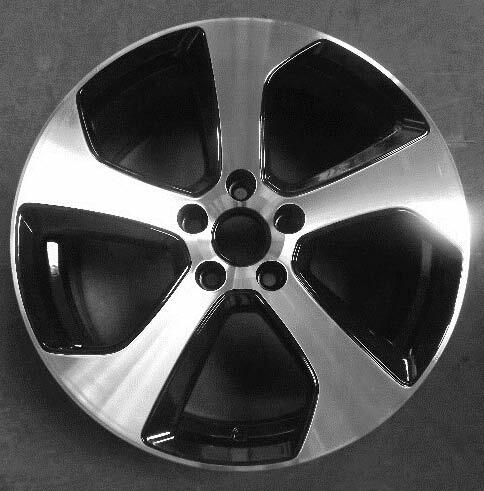 I strongly recommend Pristine Alloy Wheels to anyone looking for the perfect remanufactured alloy wheel. My thanks to Dean, Sian and the rest of the Pristine team! Excellent refurb on my MK1 Golf alloy wheels. Many thanks to Dan and the team! Just to convey my thanks for carrying out such a first class job on my wife's Audi A1 two diamond cut alloys which you exchanged via Marshall's Audi at Plymouth. They were only very lightly damaged but as it is an almost new car with a very attractive colour scheme (Milano red s-line, red with black roof) the damage marred the look of the car which i have only just completely detailed. So, thanks once again for first class work. I own a TT so i know where to contact should the need arise. What can I say, received my wheel back on Friday (as promised) looking like new and am over the moon. The service I received from you, start to finish was incredible, your technicians were helpful as were your office staff and you made the whole process uncomplicated and without stress. The icing on the cake is that my wheel looks like new. Amazing service, amazing company and value for money. I would not hesitate in recommending you to anyone. Hi just a quick email to all you guys & gals at pristine just to say thanks for the work you did on my wheels, I really appreciate the quality of refurbishment (they really are better than new). I know that sometimes a good job is not often recognised & that negatives are often focused upon, once again thanks & I will be using you again. 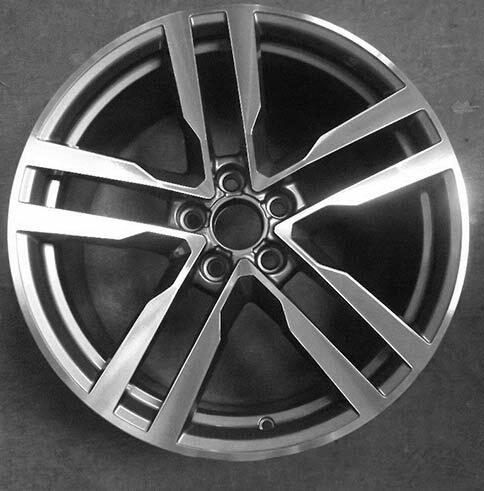 I have just received my 18" VW Interlagos alloy wheel back from you after refurbishment and I wanted to just say thank you so much for doing such a fantastic job on it. The wheel is just like the factory finish and looks great. I recently received a replacement alloy wheel from barnetts VW, Dundee. The work was carried out by you and I must say the quality is absolutely spot on. Really really impressed and very very happy with the finish. The best I've seen. 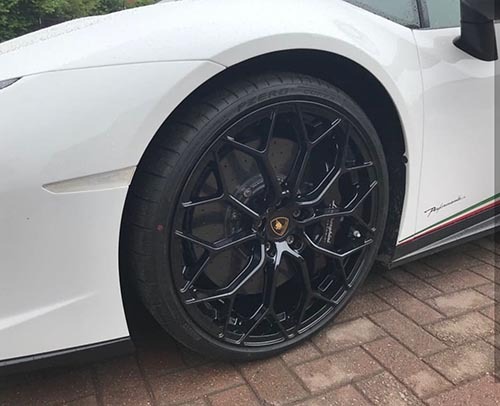 Hi just a quick message to say what a fantastic job you did in refurbing my diamond cut wheel A truly first class job, you certainly live up to your name.Thank you. Very pleased with the DBS wheels you refurbished a few days ago; great job many thanks! Exemplary service from Pristine Wheels. A nasty scuff removed and a buckling dealt with. Returned in "as new" condition. Consulted at every stage, most reasonable price plus prompt collection and return. Would recommend to anyone. Will not hesitate to use again should need arise. I don't normally bother with writing reviews on products I have purchased, but with Pristine Wheels I feel compelled to. I have had all 4 wheels refurbished a few weeks ago and I have to say they look fantastic. There is a saying "You get what you pay for"....Not that Pristine Wheels are expensive, in fact they are very reasonable. The whole experience was total satisfaction, the staff are friendly and knowledgeable the wheel exchange works well. I would definitely recommend this company to anyone thinking of refreshing their alloy wheels. TOTAL SATISFACTION.....So why chance it with your pride and joy, if you want quality go to the best. I would just like to say a big massive thank you to all the people at Pristine Wheels. I am absolutely over the moon will the quality and workmanship on my alloys. There is not a mark on them, and in this day and age whether buying new items or having work done, its a rarity getting anything perfect. From the moment I phoned to ask for information about the alloys, to them being delivered back, the service I have received has been second to none. I shall not hesitate in recommending you to others, and I'm sure I will be back in a few years time to have them redone. Hello - I have just had a set of some rough-looking Mercedes 16" 8-hole alloy wheels refurbished and I just wanted to let you know how completely delighted I am with them. Pristine is exactly how I would describe them, the transformation is astonishing. What I am also impressed with is the free delivery and collection service, the swiftness of the refurbishment and the overall efficiency of the transaction. You deserve to do well with this kind of service. Thanks a million. This is just a quick email to say thank your for your excellent service and fast turn around. I'm very happy with the refurbishment and finish. The wheels look superb. Hello, I am writing to you to say a huge thank you for doing such an amazing refurbishment to my wheels. 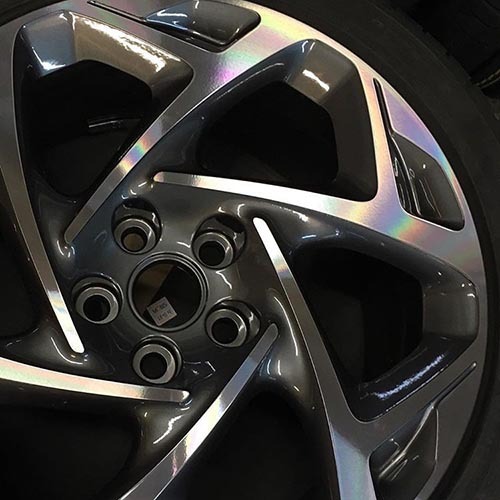 We as a business will continue to use your extremely professional company when our customers require wheel refurbishment and look forward to many years of business with you. Hello Guys, Your work is amazing. I contacted several companies, and Pristine were the fastest reacting, the most accurate, great value and above all would get my wheels back to the original manufactured look. Not only that but they were flexible, did the work very quickly, and it was completed to an amazingly high standard, with brilliant attention to detail. I'd recommend them to anyone who is as particular as I am about the finish. Well done you did a cracking job, and it was a pleasure to deal with everyone I spoke to.